Handbags are one of my favorite things to shop for and buy; however, even though it is something I use everyday, I do not like to spend a lot of money on them. Recently, I saw this handbag on one of my favorite blogs. I liked its look, but didn't want to spend the money, so I found this more affordable alternative, which I happen to like better, especially the embossed burgundy part. 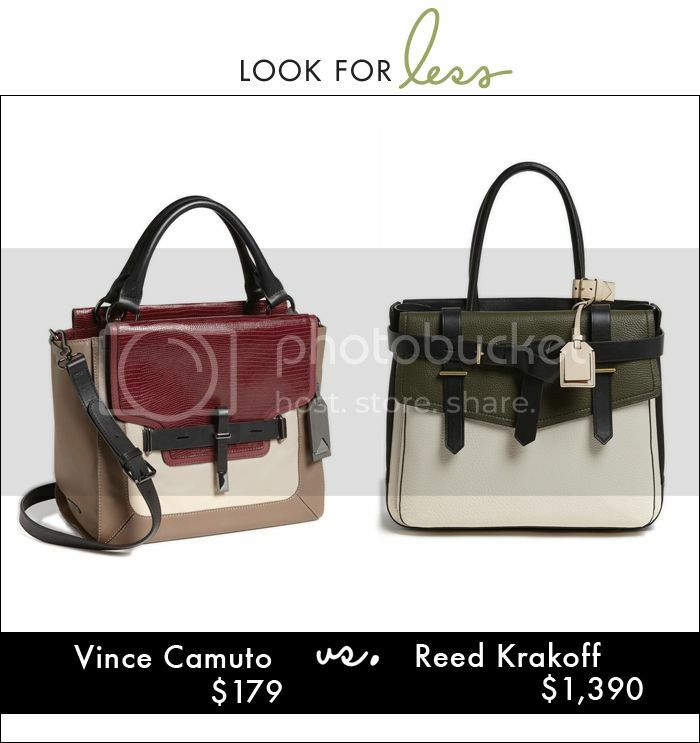 I love the Vince Camuto as well!